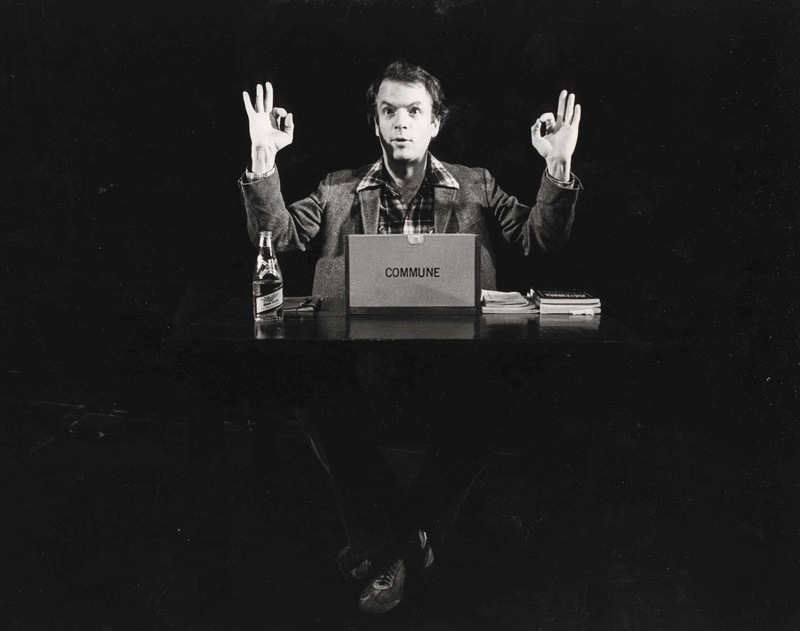 And Everything is Going Fine is about the life of Spalding Gray; a man who wrote and performed monologues on that same subject. 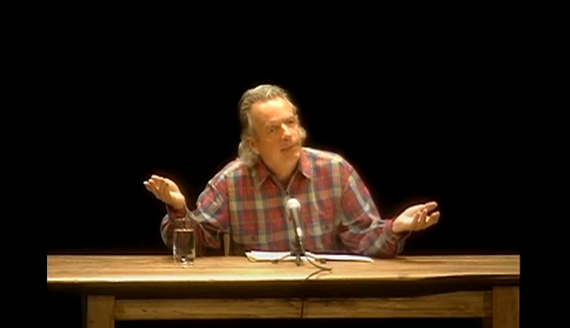 “I can’t always tell when I’m making things up” he tells his dad, in one of the film’s many clips. “I can’t tell either,” says the elder Gray, who has since died. 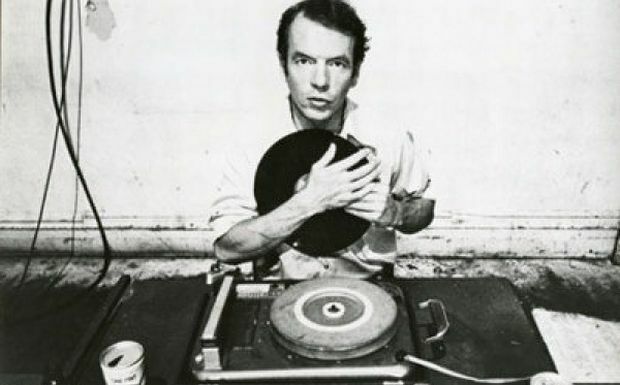 Spalding Gray is dead, too. His body was found in the East River in March 2004, two months after he apparently committed suicide. Dental records confirmed his identity. Witnesses told police they saw Gray on the Staten Island ferry the night he vanished, and it is presumed he jumped into the water. He’d investigated that method before. Steven Soderbergh’s film makes it clear that Gray pondered suicide, and death in general, for a long time. Maybe all his life. The actor talks to Soderbergh, and to his audiences and interviewers in various decades, about his mother’s own suicide; his brother’s sing-song questions at bedtime (“If I die, is it forever-ever-ever?”) and his own sharp demand to a pregnant girlfriend: “get rid of it.” I believe he saw death like an author sees the end of a book. He was an actor who worked from his own script, drawn from a life he felt able to document but not control, except when he used it to fashion stories. For him to die any other way than by his own hand would be to leave the story a chapter short. About the afterlife he says almost nothing. We’re shown many Grays—stills of a surprisingly handsome actor tinkering with convention in the 1960s; pixelly videos of a still-young, but more familiar looking Gray, performing monologues in the early-80s; an older, paunchier, but crisper filmed Gray doing the same thing in recent years. And a thin, hobbled Gray, on crutches after a serious auto accident in 2001, voice dipping to despair when he tries to be wry. He tells stories to Joy Behar, Charlie Rose and others in the same rhythmic cadence he uses in performances, but sometimes he changes his voice, answering serious questions in a measured, professorial tone. He is old and young and old again; sick then well then sick at Soderbergh’s command. Everything fluctuates. “What’s it like to be a dad?” asks one interviewer. It’s great, Gray says; it brings you outside yourself. ‘Relativizes’ things. Soderbergh worked with Spalding Gray several times. In 1996 he directed Gray’s Anatomy, basically a filmed version of one of the monologist’s near-90 minute pieces. Gray’s Anatomy was thoughtful and funny, but I’d rather have seen Gray perform it live. And Everything Is Going Fine is something else altogether—a microcosmic twin to, rather than a sample of, or movie about, Gray’s career. Gray mined his own life, reordering, refining, and distorting details as needed to find a bigger truth—and to entertain. Soderbergh, to find a bigger truth about Spalding Gray, draws not from the man’s life but from his work—of which, it can be argued, his every on-camera utterance was a part. The truth about Spalding Gray is that he’s dead; and this is how he got there. One of the ways, anyway. I liked it. And Everything Is Going Fine will have an exclusive engagement at TIFF Bell Lightbox for at least one week starting on Thursday, March 10. This is one last of the scheduled showings of this film and the only Canadian showing. There is no word on DVD release. It's excellent in so many ways. I hope people in Toronto go to see it. He was a talented man, and this is an honest assessment of him and the work he lived and died for.